AV providers should intensify their focus on the corporate marketplace. That's the message from Futuresource Consulting, as 24 percent of companies expect to add additional meeting space over the next five years and ownership of corporate flat panels is anticipated to rise by 25 and 17 percent in Europe and the U.S., respectively. 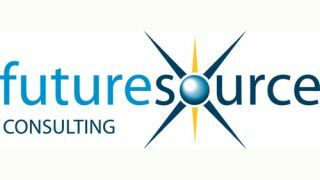 The findings come from a comprehensive end-user research project carried out by Futuresource across the U.K., U.S., Germany, and France, comprising 500 telephone interviews with AV purchase decision makers and 2,000 surveys of meeting room users. The study provides detailed insights into the decision-making process, the now and next of meeting room tech requirements, and AV purchasing behaviors. "Corporate AV is suited, booted, and ready for action,” said Chris McIntyre-Brown, associate director at Futuresource Consulting. “Our figures point to a total addressable market of more than 10.5 million meeting rooms right now across Western Europe and North America, and that figure just keeps on rising. But the landscape is changing; we're seeing the rise of the huddle space, and opportunities are opening up in the SME segment. These are exciting times for the corporate AV market and switched-on vendors could seize a significant slice of the action." Focusing on the display types in use, LCD flat panel continues to take share from the projector market, and the shift is accelerating. By the end of 2018, European respondents expect their ownership of projectors to have declined by 9.6 percent, whereas they expect to increase their flat panel display ownership by 25 percent. Over the same period in the U.S., respondents expect their projector ownership to decline by 8.4 percent and flat panel to rise by 17.1 percent. Of all the European markets, the U.K. showed the lowest reliance on projection, although over 55 percent of large meeting spaces and 45 percent of mid-size meeting rooms still have a projector installed. "The corporate meeting space is no longer all about the display," McIntyre-Brown said. "Convergence of AV and IT and the upsurge of collaborative communications solutions, wireless presentation, videoconferencing, and audio is creating a combat zone of new challenges and opportunities for all vendors operating in this space. "A growing number of providers are offering affordable, scalable, and highly converged solutions to address the varied requirements of both enterprise and SME customers, though with research becoming increasingly difficult, they are grappling with changing demands in device choice and feature set requirements." Moving forward, web conferencing tools like Skype, join.me, and GoToMeeting could contribute to a greater range of opportunities opening up for providers of meeting room tech. These platforms will become integrated into the meeting room experience and demand will continue to increase for more collaborative environments where both content and video need to be shared. In the U.S. sample, 66 percent of respondents had a company-sponsored web conferencing account, compared with 44 percent in the European sample. From an industry perspective, the IT and energy sectors show the highest rates of web conferencing adoption, with government and healthcare organizations lagging behind the curve. Crucially, when a meeting is taking place in their office, more than 25 percent of the sample stated that they would prefer to meet using web conferencing technology, with this preference highest among large and mid-size organizations and professionals working in IT, sales and marketing, and C-level management. "With the lure of web conferencing and 8 percent of employees we surveyed working from home three or more days a week, the role of the corporate meeting room continues to build momentum," McIntyre-Brown said. "Our interviews with purchase decision makers revealed that more than half of the meeting room budget is spent on display product; combine that with the increasing number of meeting rooms expected over coming years and the drive toward faster, smaller, and more efficient meetings and we'll see well-informed, agile vendors reap the rewards."